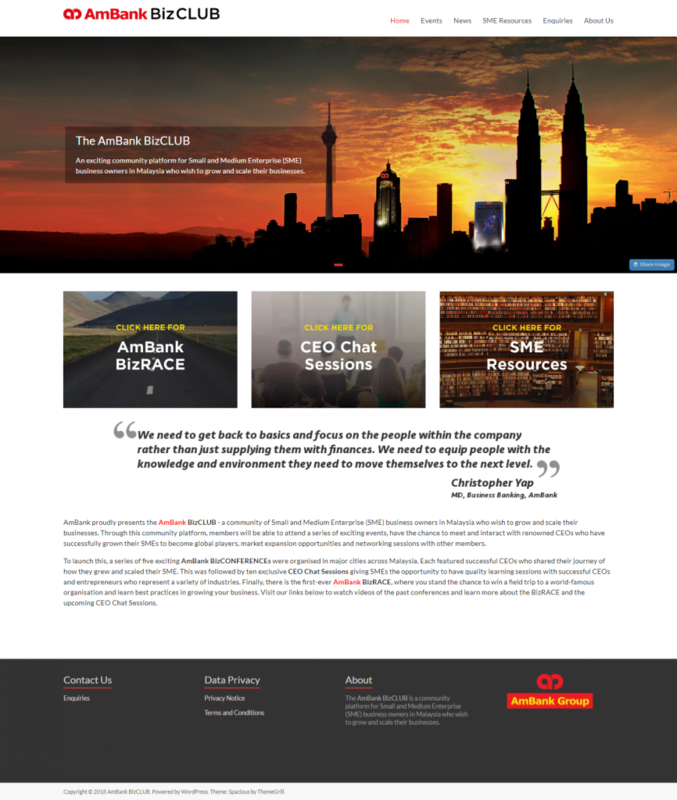 We were tasked with creating a positive positioning for AmBank Malaysia and be seen as an innovative bank to promote understanding and awareness of the benefits of joining the AmBank BizRACE via Facebook event campaigns and a press con. We ran a series of digital marketing campaigns from September 18 – November 15 2017 to garner website visitors for the BizRACE and BizCONF. In all, we received 486 website registrations, averaging at RM 9 per registration. AmBank was further positioned as a “bank that will help SMEs, especially the mid-tier category to scale-up” in prominent business publications at the launch of the press con.